The Wordsworth Hotel and Spa015394 35592work015394 35765fax Country House HotelThe Wordsworth Hotel and Spa is a truly historic and beautify appointed 4* Lake District Hotel with a country house feel that offers a classic mix of warm hospitality, modern appointments, indoor heated pool, award winning food and indulgent spa treatments, set within 2 acres of riverside garden. The Wordsworth Signature Restaurant is one of the best Lake District Restaurants, serving superb food and wine. The Restaurant boasting an AA Rosette and a great wine list which includes more than 130 wines to suit every pocket and palette. Enjoy more informal dining, pub food and local ales in the Dove Bistro or afternoon tea in the Conservatory. The leisure facilities are situated by the car park entrance at the back of the hotel. Children welcome from any age. 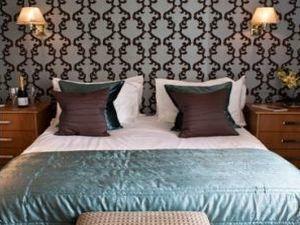 The Wordsworth Hotel and Spa sometimes limits bookings to 3 or more days. These bedrooms have distant views over our beautiful surroundings, with some additional space. They are well designed and filled with everything you could need during your stay. Classic King/Tw sometimes limits bookings to 3 or more days. Our Courtyard Bedrooms are charming and filled with the necessary amenities for your stay. Designed for your comfort these are the smallest of our bedrooms with no views. Courtyard Dbl sometimes limits bookings to 3 or more days. C-yard King/Tw sometimes limits bookings to 3 or more days. Windermere train station is the closest station and is 8.7 miles away and approximately 21 minutes' drive from the hotel. The Grasmere town centre has a bus service which operates every twenty minutes. From M6, north jct 40, take A591 for Keswick then for Grasmere. From south jct 36, take A590/591 for Grasmere.